The Battle of Quinton's Bridge was a minor battle fought during the British occupation of Philadelphia. New Jersey militia companies defending a bridge across Alloway Creek in Salem County, New Jersey were lured into a trap by British Lieutenant Colonel Charles Mawhood and suffered significant casualties. Armies - American Forces was commanded by Col. Asher Holmes and consisted of about 300 Soldiers. British Forces was commanded by Col. Chas Mawhood and Col. Anthony Wayne and consisted of about 1,500 Soldiers. Casualties - American casualties were estimated to be 30-40 killed/wounded/missing. British casualties were estimated to be 1 wounded.. Outcome - The result of the battle was a tactical British victory. The battle was part of the Philadelphia Campaign 1777-78. On February 19, with the Continental Army in desperate need of provisions, Brigadier General Anthony Wayne led a force across the Delaware River south of Philadelphia on a foraging expedition through southern New Jersey. General William Howe responded by sending a force of about 4,000 men to harass Wayne. However, Wayne moved rapidly northward, gathering provisions, forcing residents to move supplies he could not take away from easy British reach, and occasionally skirmishing with the chasing British. Howe sent another force in March, under Mawhood, to forage and also to try to force Wayne into battle. On March 17, Mawhood led a mixed force of 1,200 men, consisting of British regulars and Loyalist companies of New Jersey Volunteers and Major John Graves Simcoe's Queen's Rangers, across the Delaware River into Salem County, New Jersey. The purpose of this move was twofold, to forage for supplies and to meet up with the foraging party led by Wayne. Wayne, alert to British movements, had largely completed his work and was in Burlington, preparing to return to Valley Forge. Alloway Creek in Salem County formed a natural line of defense, and the local militia, after learning of the British movement, established strong defensive positions at the two crossings nearest the Delaware, Quinton's Bridge and Hancock's Bridge, to prevent the British from crossing. Mawhood led his force to Salem, where they were met by some local Loyalists who told them that Colonel Asher Holmes, along with 300 militia, was at Quinton's Bridge, only three miles to the southeast. Holmes had established his position on the north side of the bridge, and had taken up the bridge's planking to prevent its easy use. Like the British, Holmes's men were foraging in the area, and Holmes had taken a position to cover Quinton's Bridge while they were at work. On March 18, just before dawn, Mawhood moved several detachments of men into position on the side of the creek opposite the American forces. Holmes, knowing of the British presence in the area, had ordered planks removed from the bridge as an additional precaution. 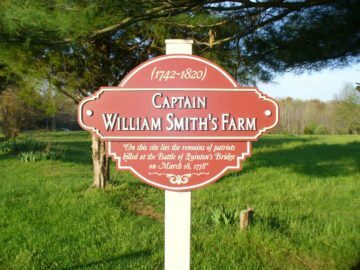 However, as soon as the Americans saw a British detachment moving to their rear, coming from the direction of the local tavern, a Captain William Smith replaced the planks and left 100 men on the high ground. He took 200 more across the bridge in pursuit. This force followed the British further along the road, eventually making contact with another group of the British soldiers, who had been posted behind a rail fence. The remainder of the British force was nearby, posted in a house by the fence. 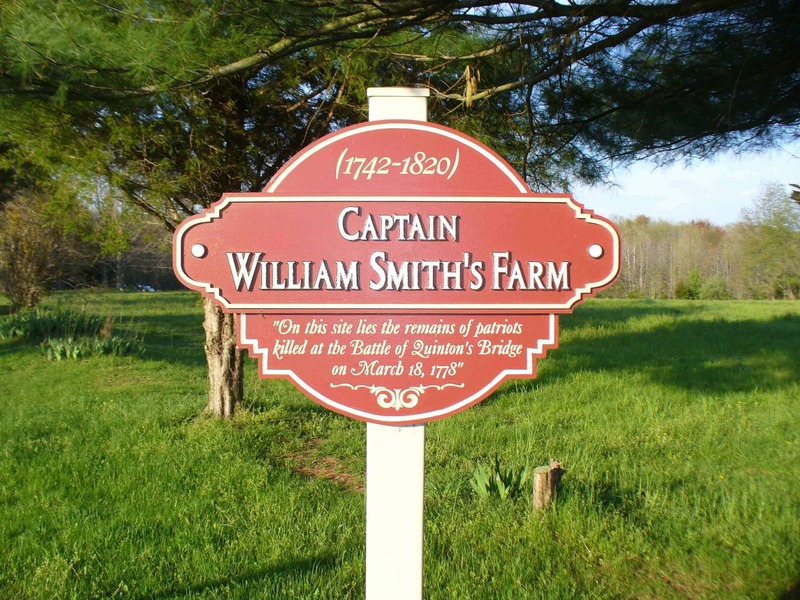 When Smith and his men were attacked, the soldiers posted in the house slipped out and ran to the Americans' rear flank, cutting off any retreat to the bridge. They then forced Smith's force to attempt another crossing of the creek. At this point, the main body of British soldiers arrived at the bridge and attempted to cross over to the American position. 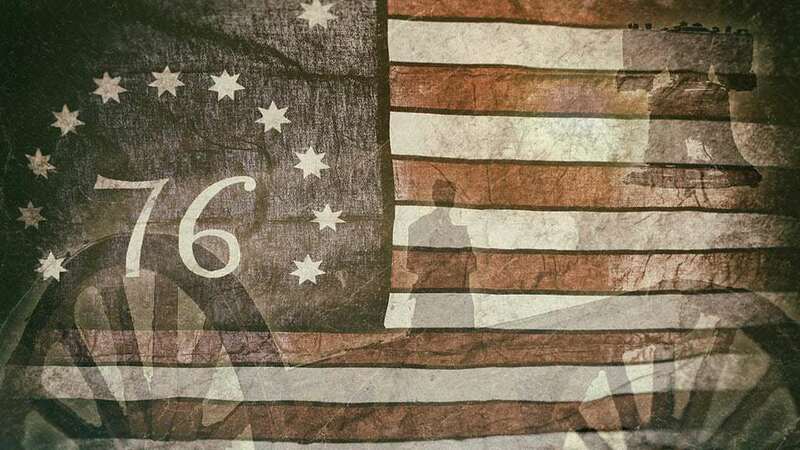 They were stopped by Col. Elijah Hand and his militia, who arrived with two guns in time to stop a complete annihilation of the American force. In the event, the Americans lost between 30 and 40 men in the engagement, most to drowning. Although the force at Quinton's Bridge had taken significant casualties, Col. Hand and his men stayed to reinforce the position. Mawhood attempted to force the militia to retire the next day, but they were well-positioned and could not be dislodged. Mawhood then detached Simcoe and his rangers to attack the position at Hancock's Bridge. Simcoe and his men returned to the Delaware, and maneuvered downstream to reach the south side of the creek. From there, they marched, according to Simcoe's account through difficult terrain, to the southern end of Hancock's Bridge. There they completely surprised 20 to 30 men stationed in the house of local judge William Hancock, putting them all to the bayonet. Although they had not intended to kill Hancock, Simcoe's intelligence had reported that Hancock had abandoned the house when it was occupied by the militia; in fact he had returned home the evening before, and was among those slain. Mawhood then sent a letter to Hand, warning him that if the militia did not put down their arms, he would "attack the militia wearing arms, burn their houses, and reduce them, their unfortunate wives, and their children to beggary and distress." Hand eloquently rejected the threat, writing that "[y]our threat to burn and destroy, induces me to imagine that I am reading the orders of a barbarous Attila, and not of a gentleman, brave, generous, and polished." Wayne's expedition through southern New Jersey heightened tensions between General George Washington and New Jersey officials, since it brought on a wave of British violence, orchestrated by Mawhood. New Jersey had largely been left to its own defenses during the winter, and the British response to Wayne's movements led New Jersey officials to demand a Continental Army presence. One week after Wayne's departure, Washington sent a small detachment of Continentals into southern New Jersey, but it was wholly ineffective at preventing the crumbling of southern New Jersey militia organizations.